Introduce an inviting fragrance to areas where it matters most, such as commercial restrooms, waiting rooms, office workspace or even at home. Our Automatic TimeMist air freshener dispensers conveniently dispense the perfect amount of fragrance by customizable timer intervals. Enjoy a wide range of different scents with our TimeMist Yankee Candle air freshener dispenser refills or standard TimeMist fragrance refills. You try to keep all areas of your building clean and fresh but even after lots of cleaning, some odors are still left behind. The smell lingers on can be a big problem at commercial places, offices and workplaces where your customers, clients, employees and visitors expect clean and fresh environments. Your business and work productivity can suffer if you are unable to maintain pleasant environment in your indoor areas. TimeMist air fresheners can help solve these problems. 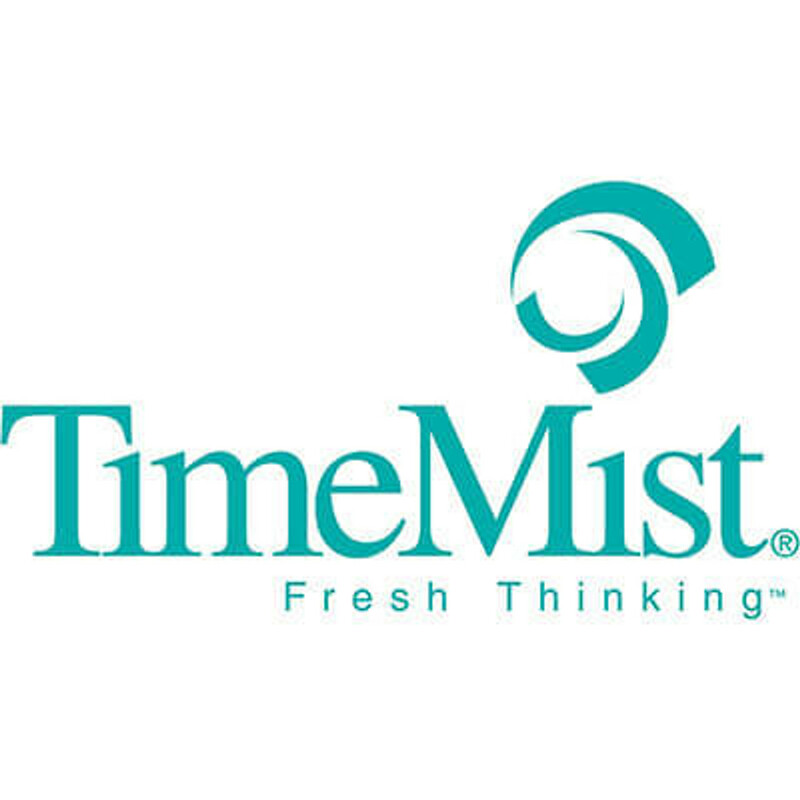 TimeMist is a reputed brand that offers different types of air freshener liquids in a wide range of fragrances. It also sells several models of automatic air freshener dispensers. TimeMist's Classic Dispenser is the most affordable air freshener dispenser. This compact device offers good performance, high aesthetics and cost savings. It consistently releases the fragrance for 30-90 days as set by you. A big advantage with this device is that it is compatible with both Standard and 9000 Shot refills offered by TimeMist. 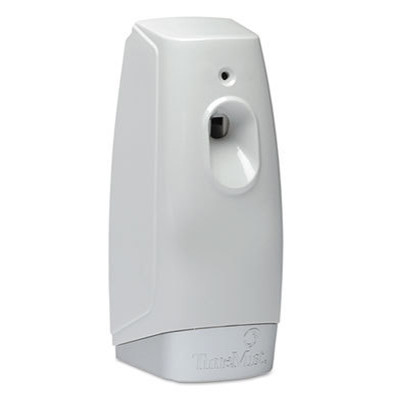 If you are looking for a slightly larger size air freshener dispenser, buy TimeMist Micro Dispenser as it gives you more control over the fragrance dispensation compared to the Classic model. You can customize the fragrance release at 7.5, 15 and 30 minutes intervals. You will need Micro refills but you can also use 3000 Shot refills. 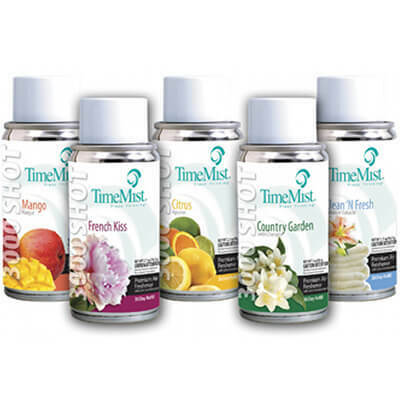 The features of TimeMist air freshener dispensers offers high performance and battery power savings. You can program it to make sure it releases air freshening mist at the intervals best suited for the area you need odor control. 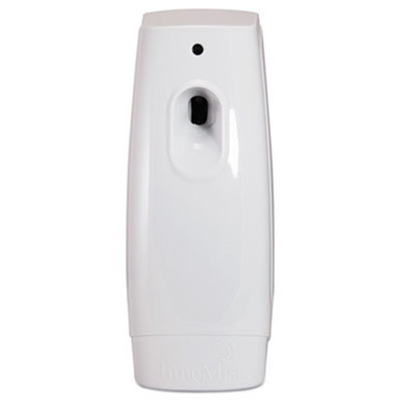 Its efficient operation helps save both the air freshener liquid and battery power. Depending on the type of dispenser you choose, you may be able to use both Standard and 9000 Shot refills with it. For the ultimate in liquid air freshener delivery system, go for the TimeMist Programmable Plus Dispenser. It has more features and functions compared to the basic and intermediate level dispensers. You have complete control over the release of air freshener with the help of its programmable control system. Simple user interface makes it easy to program its settings. Its sleek and stylish design makes it suitable for all types of rooms. You are going to need compatible air freshener liquids to get the most out of these machines. 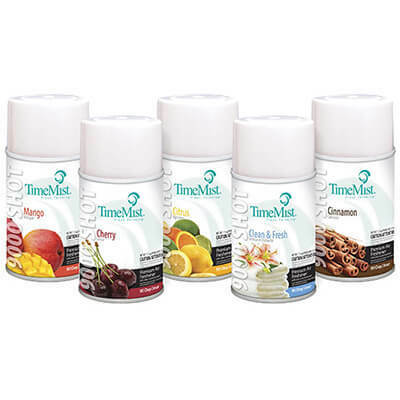 TimeMist Air fresheners are available under three categories. The first is the Standard refills and you will find a wide range of fragrance options in this range. Its liquid bottle can be used with multiple models of TimeMist dispensers. 3000 Shot or Micro refills excel when your goal is to eliminate the indoor odor and not just mask it. The liquids in this range contain essential oils for long lasting fragrance delivery. It is specially formulated to control offensive odors. The refills available in both these two categories have popular fragrances. Use 9000 Shot refills if you want to “install it and forget it” convenience. Air freshener liquids of this category will last up to 90 days when the mist release function in the dispenser is set at 15-minute intervals. Recommended when you do not want to worry about frequently changing the air freshener liquid bottle. 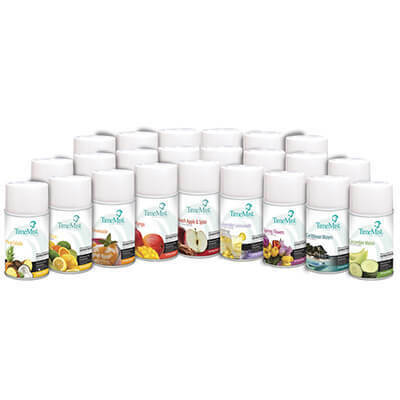 It is the most affordable air freshener pack because you will be buying the liquid in large volume, saving you time and money buy ordering in bulk.